If you or a loved one has been involved in an Uber accident or Lyft accident, you need a skilled personal injury attorney to walk you through the claims process. Rideshare accidents can be much more complex than personal injury claims with traditional taxis. You need someone with experience managing a rideshare accident claim. Russell & Lazarus APC can help you. Call us today at (949) 851-0222 for a consultation about your accident. Rideshare companies such as Uber and Lyft are rapidly expanding to cities throughout the U.S. As of 2017, Uber was active in more than 250 cities in America. Lyft operates in around 300 cities nationwide. In cities where they operate, Uber and Lyft directly compete with traditional taxis. The difference between rideshare companies and taxis is that Uber and Lyft drivers are typically independent contractors. Taxi drivers are often employees of the company. This can have a dramatic impact if an accident occurs. Both Uber and Lyft have insurance policies that are supposed to cover riders. However, they only cover riders in certain circumstances. Both policies offer “excess coverage,” which is supposed to apply when the driver’s personal insurance doesn’t cover your entire claim. Further, if you have an Uber accident or Lyft accident, the insurance only covers you during the time you were inside the vehicle and while the app shows that your ride was under way. Uber accident coverage through the company offers up to $1 million per accident as well as an additional $1 million uninsured motorist policy. Lyft accidents are also covered up to $1 million. This is typically much more than is required by state law. When you’re in a car accident, the driver is typically liable. However, because Uber and Lyft drivers are independent contractors, Uber accident and Lyft accident claims can be complicated. A traditional taxi driver would be covered by their employer insurance policy. Uber and Lyft drivers have personal car insurance that may cover the ride, and then the Uber or Lyft policy would provide “excess coverage” if your claim exceeds the driver’s policy. However, many rideshare drivers do not have commercial insurance, so you may not be covered at all on their car insurance. Taxi drivers generally have between $250,000 and $500,000 in coverage. Thus, it is possible that the rideshare companies’ $1 million policies would provide better coverage for an Uber accident. However, it can be more difficult to obtain coverage from Uber or Lyft. If your Uber accident was not covered by an insurance policy, you need an experienced rideshare accident attorney to help you file a claim with the appropriate parties. We will evaluate your situation and any insurance policies that may apply, then help you submit a claim for compensation. 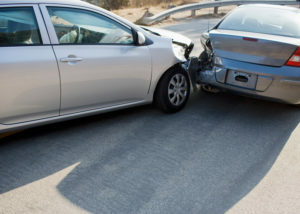 If you or a loved one was in a rideshare accident, contact an experienced attorney to help you make an insurance claim. An Uber accident can result in serious losses, and you deserve compensation. Call Russell & Lazarus APC today at (949) 851-0222.